We’ve created the Eco Select brand designation to identify our most eco-friendly pool and spa equipment choices. Join us in embracing a more energy-efficient and environmentally responsible future by adding Eco Select brand products to your poolscape. 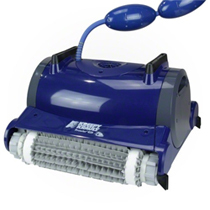 The Prowler 820 is the computer-controlled, programmed cleaner that scrubs and vacuum's your pools bottom, walls and steps and provides supplemented filtration of pool water. Totally independent of pool circulation system, Prowler provides on-demand cleaning without running pumps. It requires no installation, no booster pump, no hoses, just plug it in and place it in the pool. It has a totally self-contained cleaning and filtration system. Features Auto-reverse feature helps prevent hang-ups in corners and near steps for uninterrupted performance. Integrated filter reduces run time of your primary filtration system, saving on pump energy costs and minimizing wear and tear. Includes convenient caddy for easy handling and storage. Vacuums all types of debris and helps remove algae. 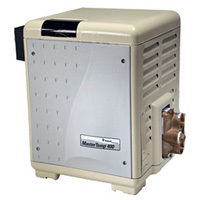 Plug in convenience requires no installation, booster pump, or hoses. Full cartridge indicator lets you know when cleaner needs attending. Contact us to learn more. We are here to help!